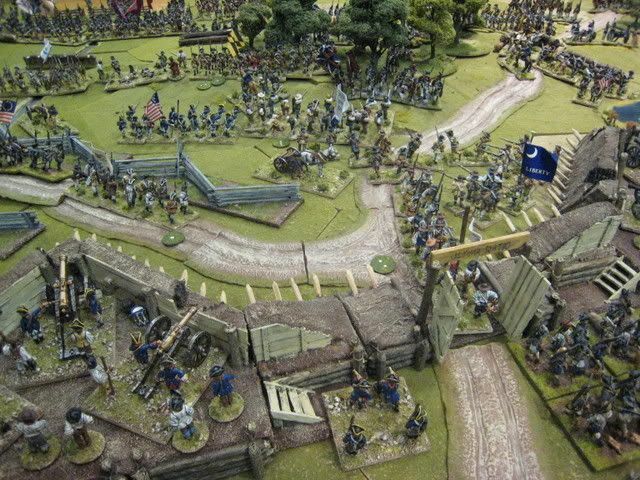 In the meantime, above is a mega-sized photo from last weekend's Long Island mega-sized game. 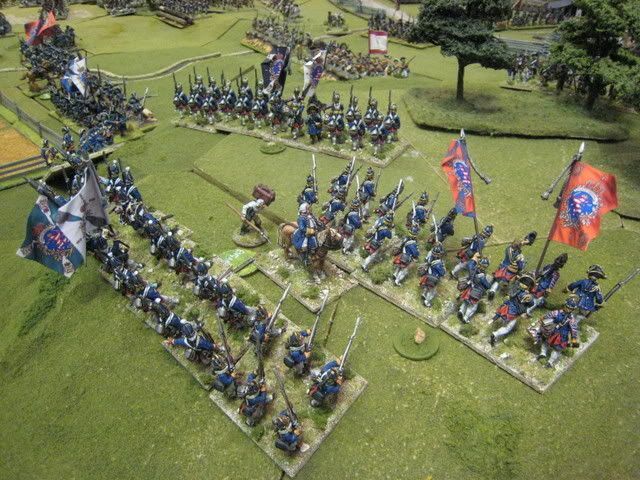 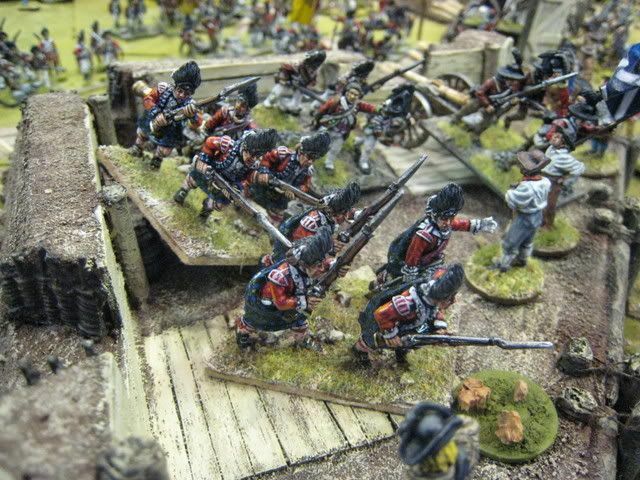 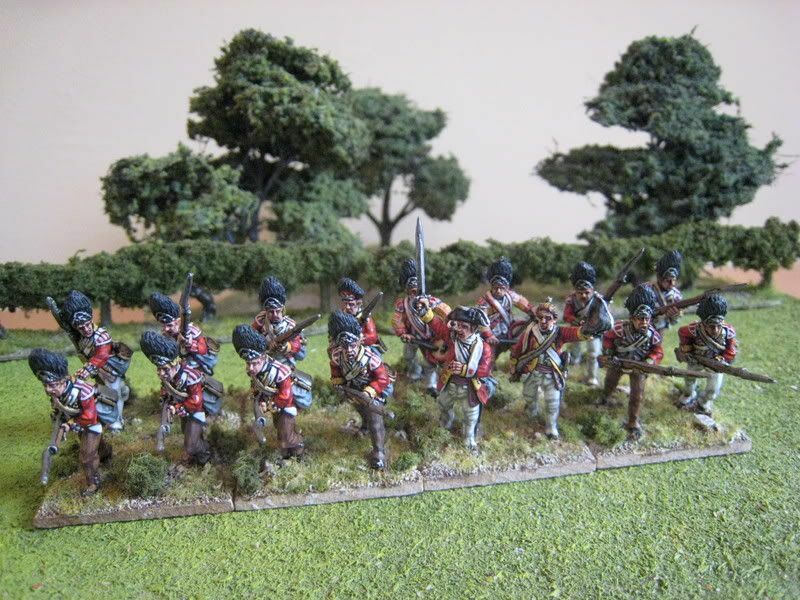 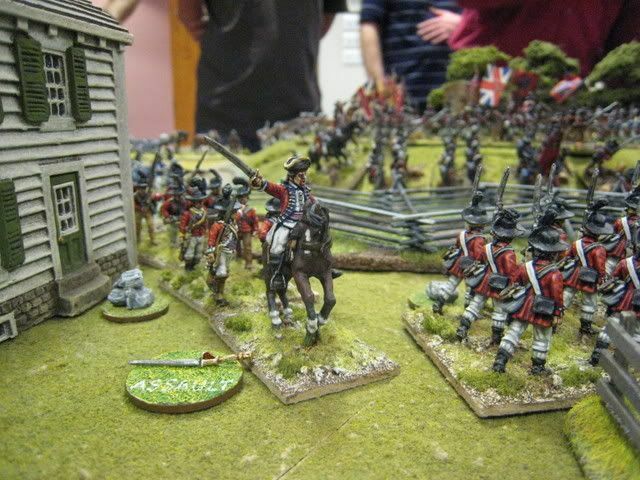 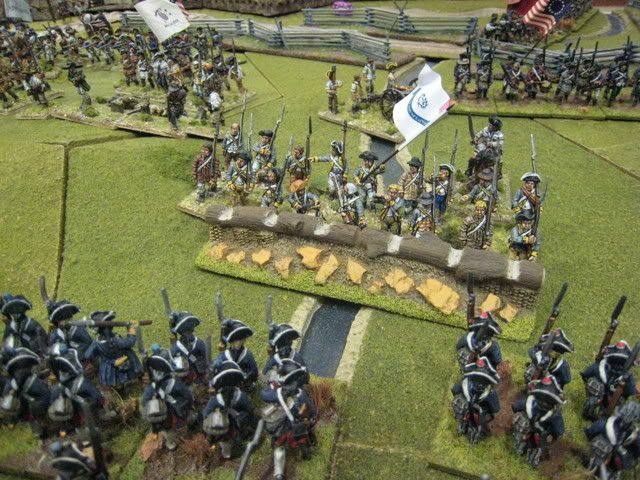 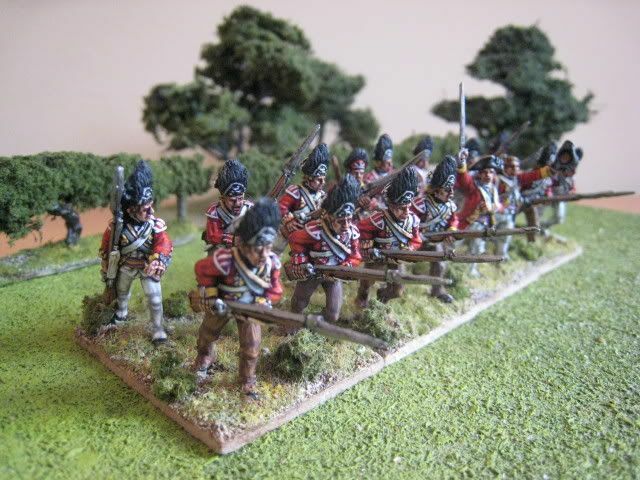 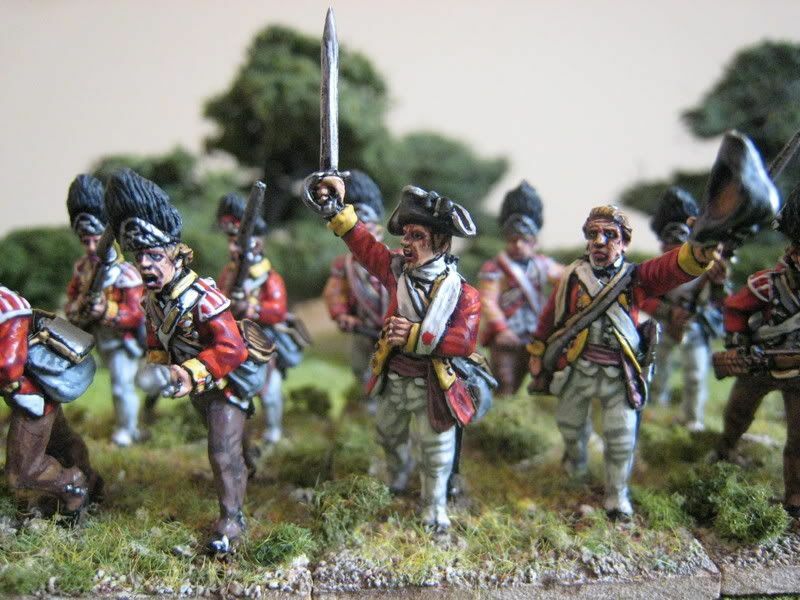 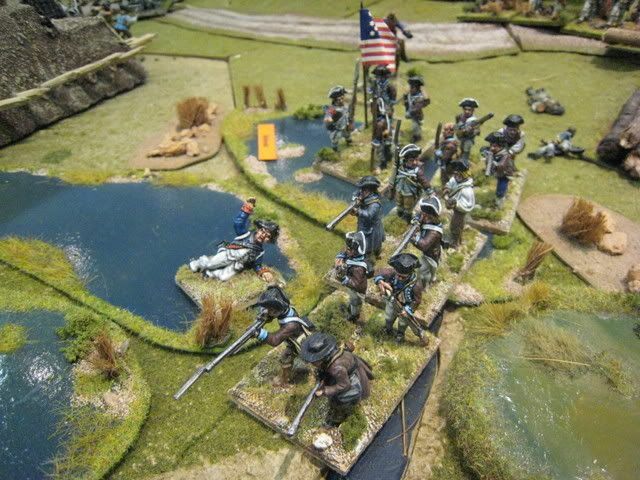 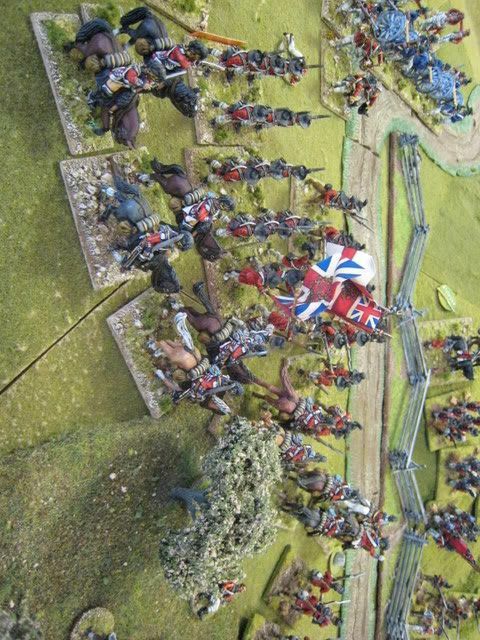 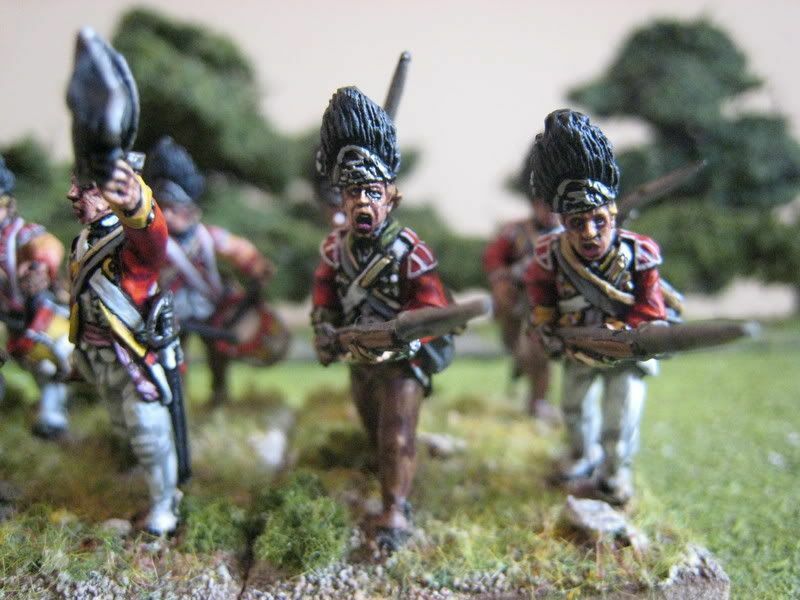 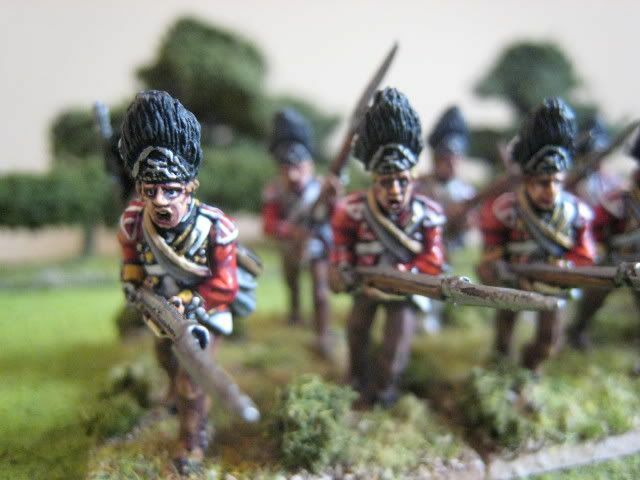 I have posted various pics on the internet already; see here for some on the "British Grenadier!" 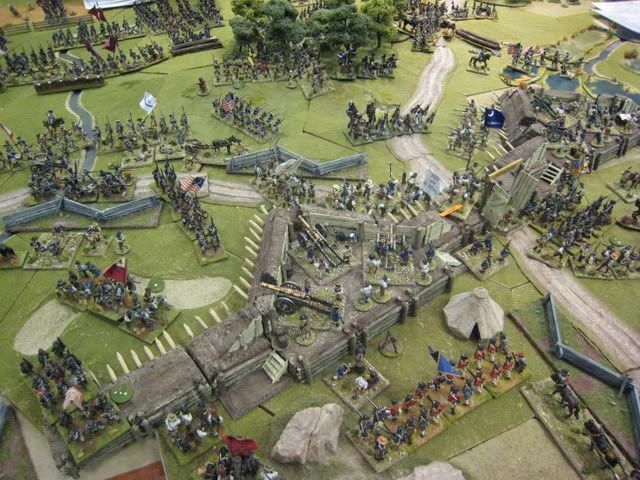 forum. 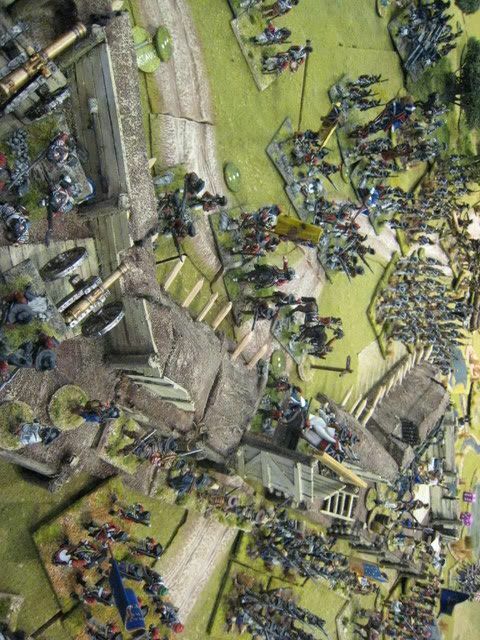 I have a battle report to post as soon as the images situation is resolved. 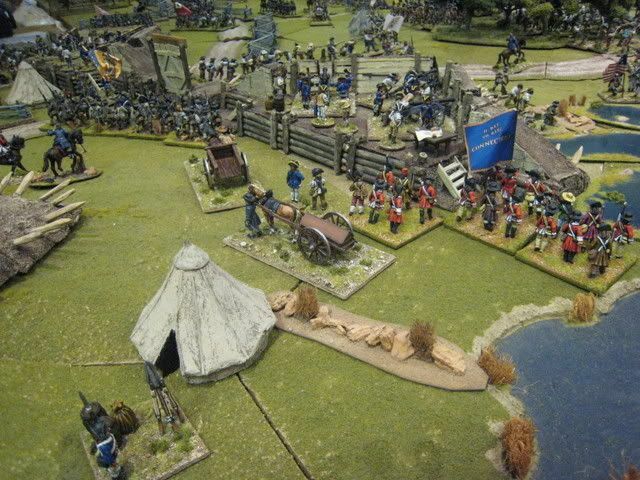 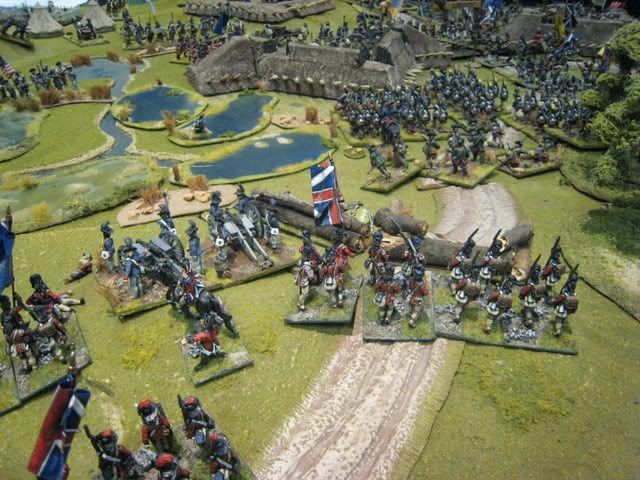 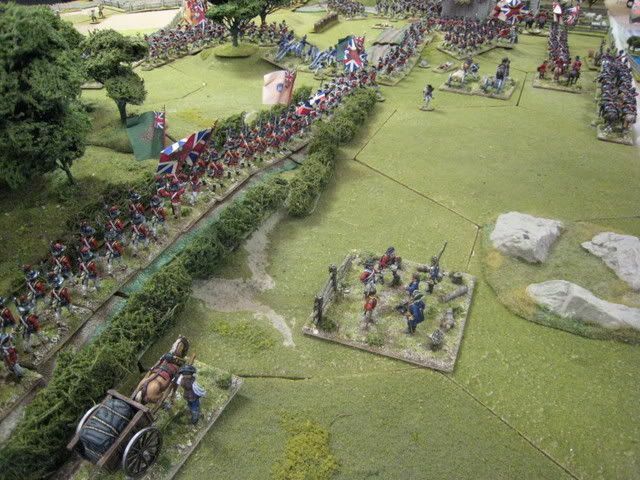 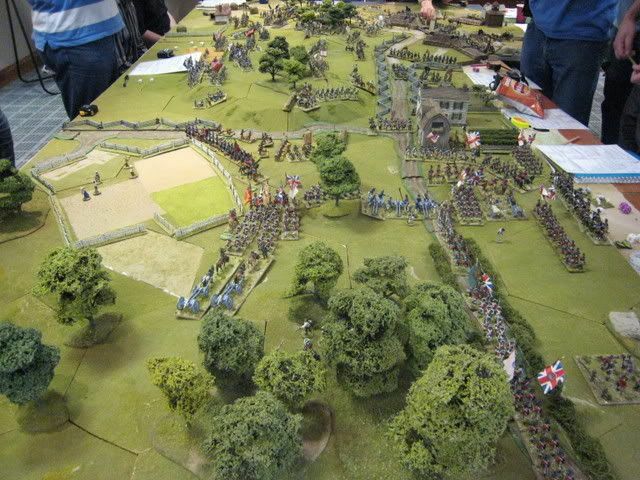 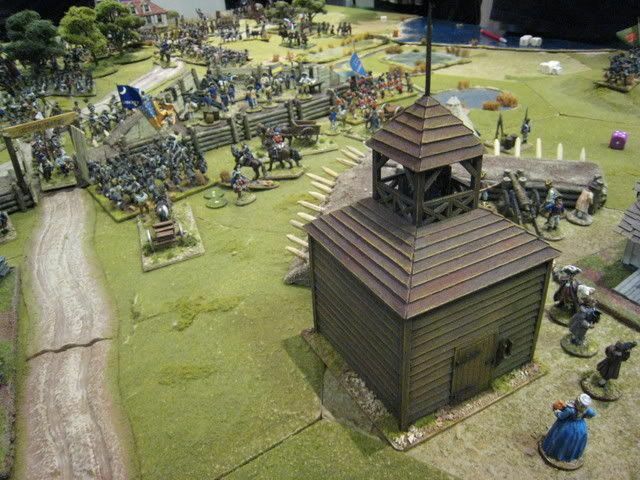 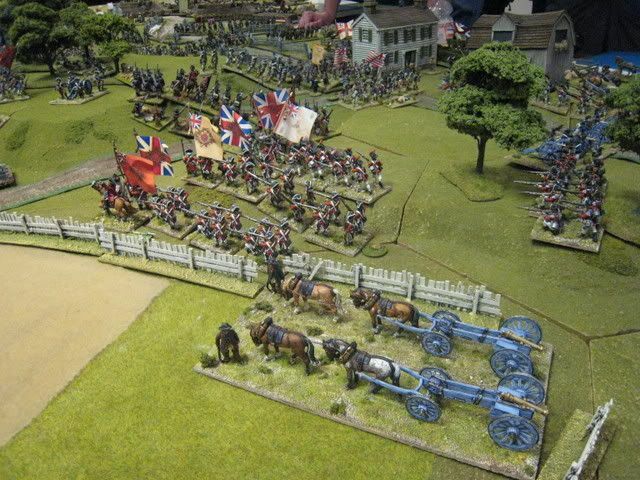 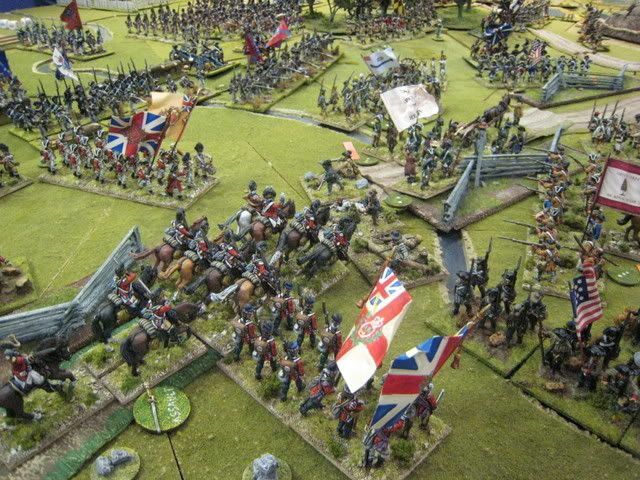 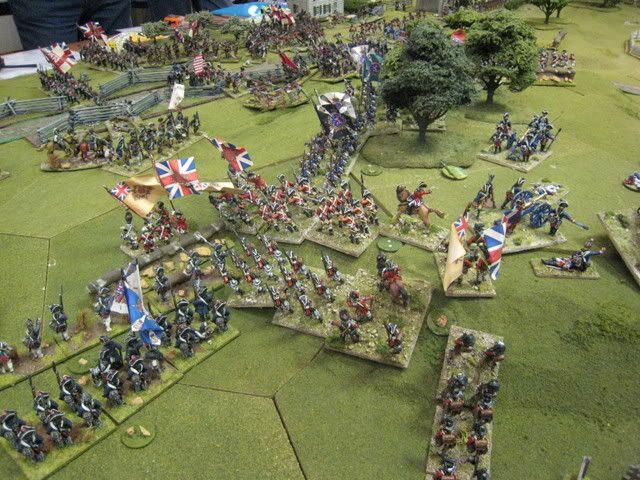 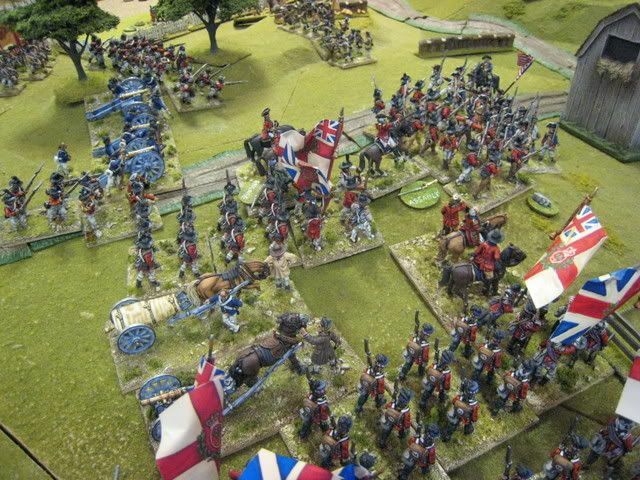 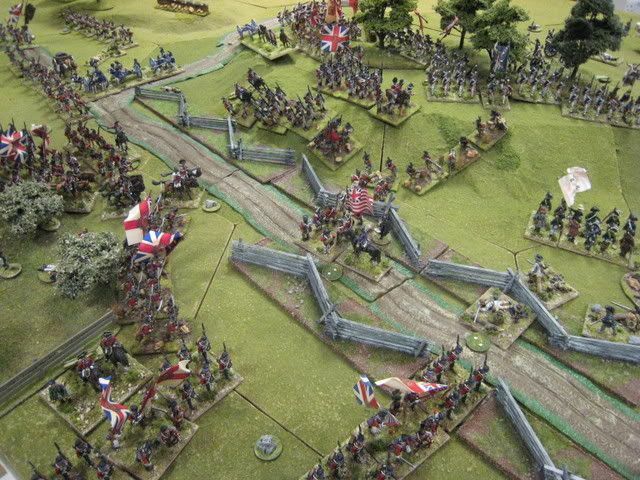 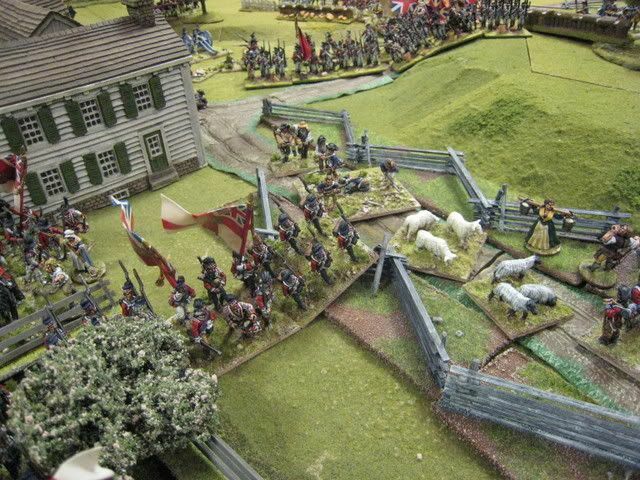 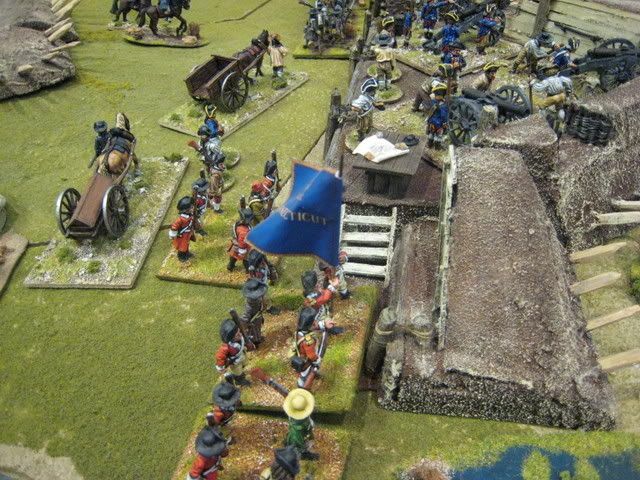 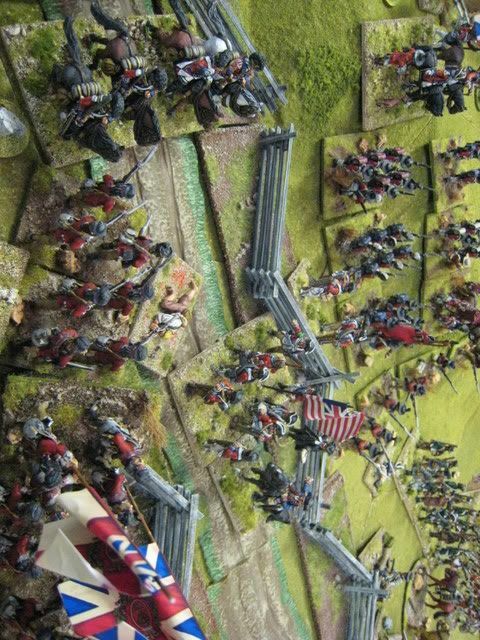 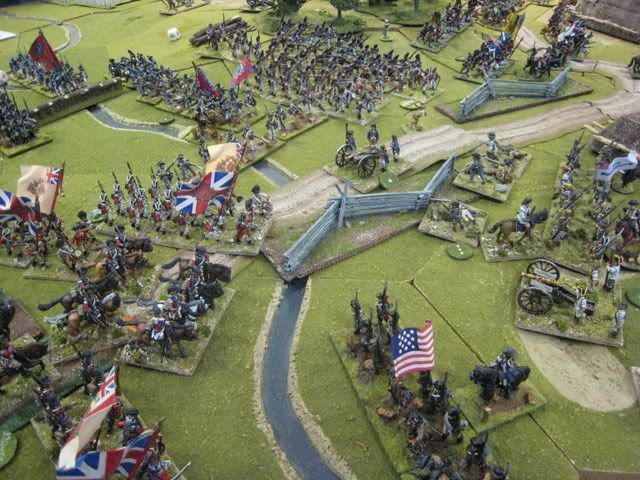 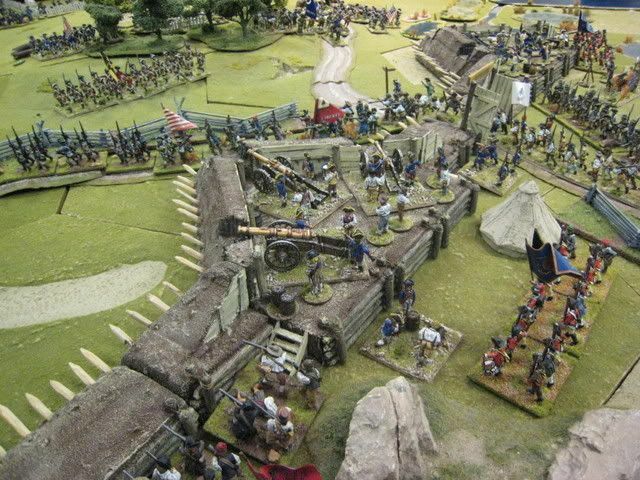 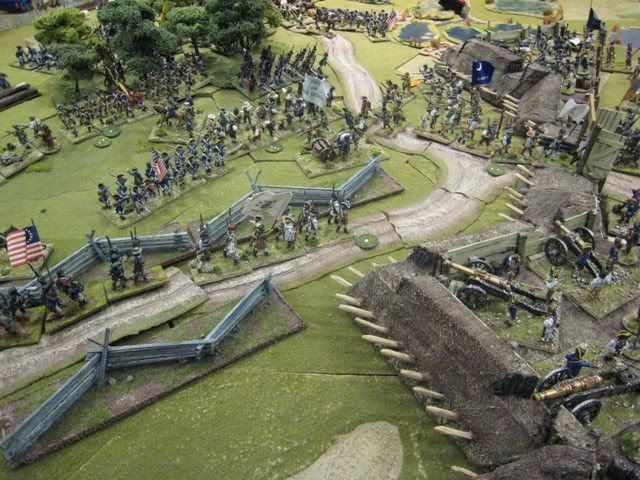 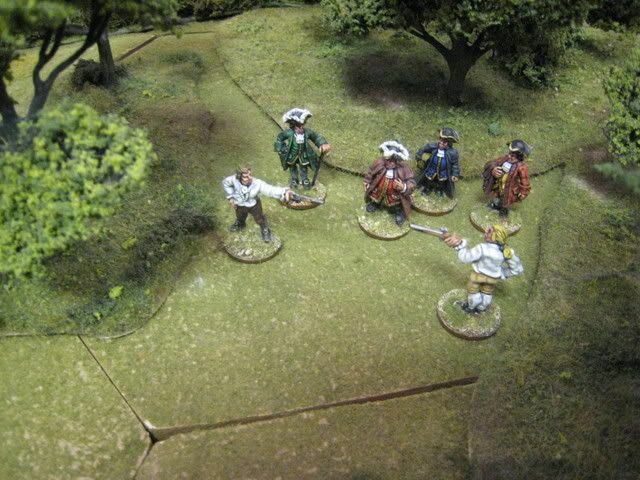 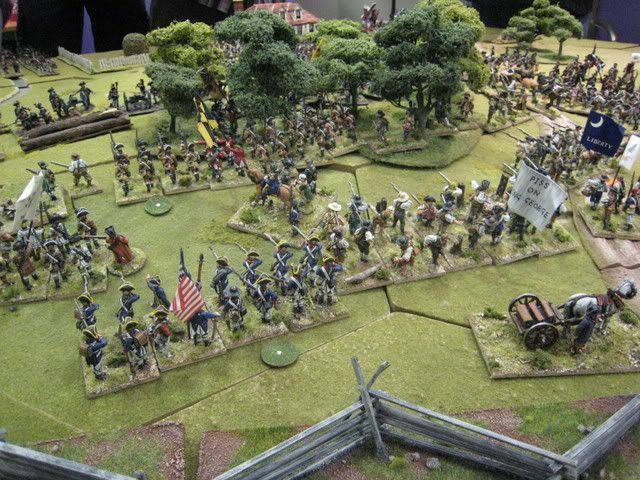 The game was great fun, with hundreds of figures on the table and some surprising and exciting turns of events. 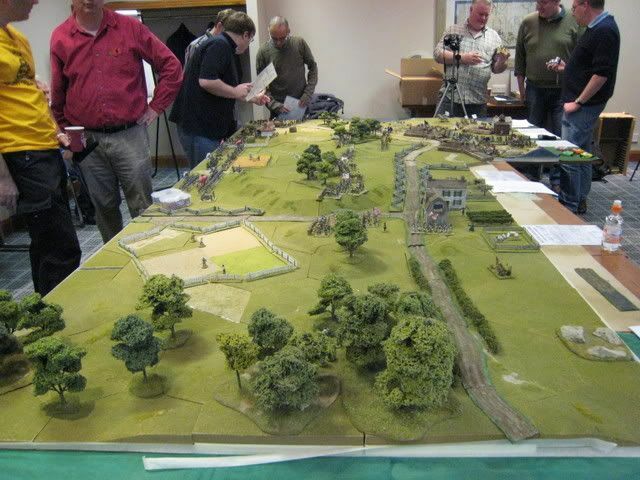 It was very good to put some faces to names ("hi" to Simon, Pat, Clive, Dave and Paul) and everyone seemed to have a good time. 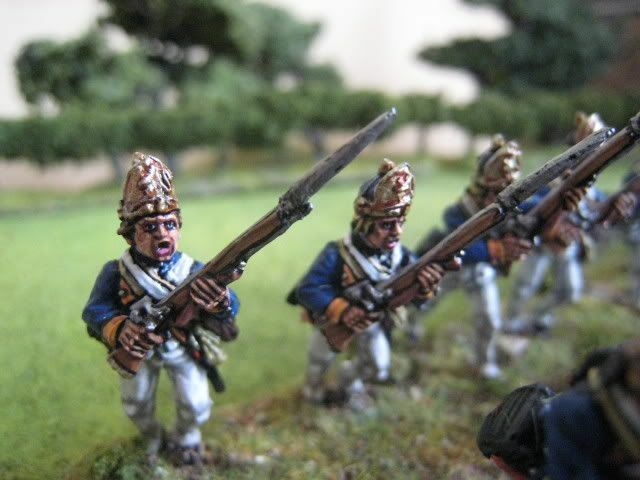 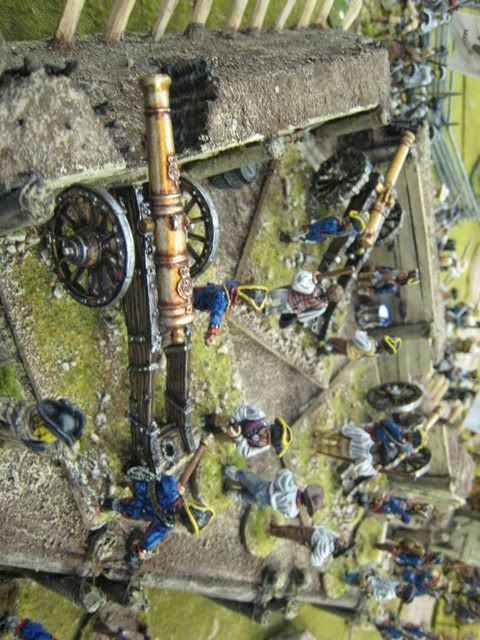 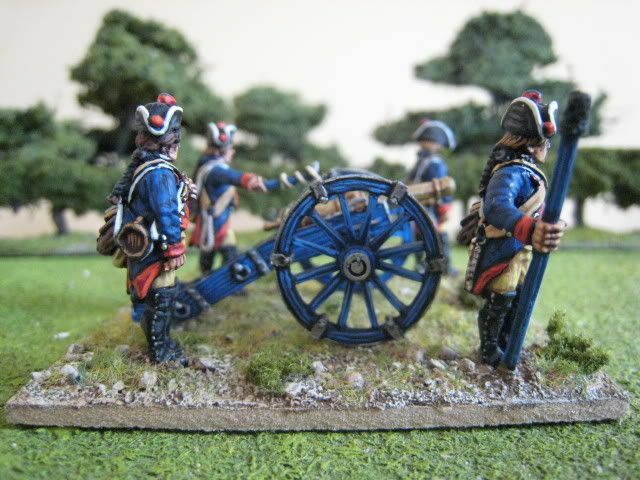 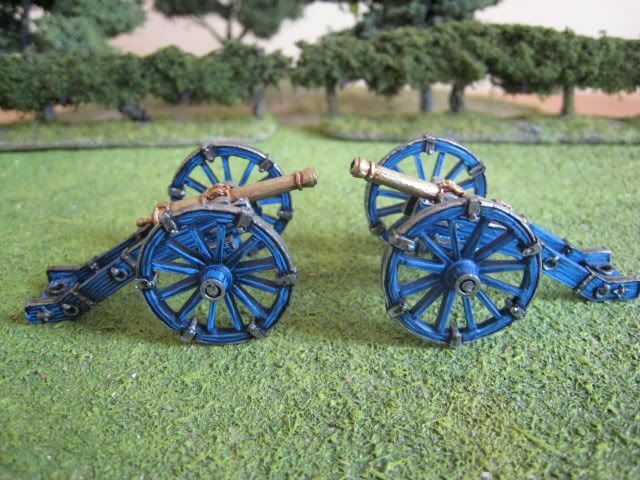 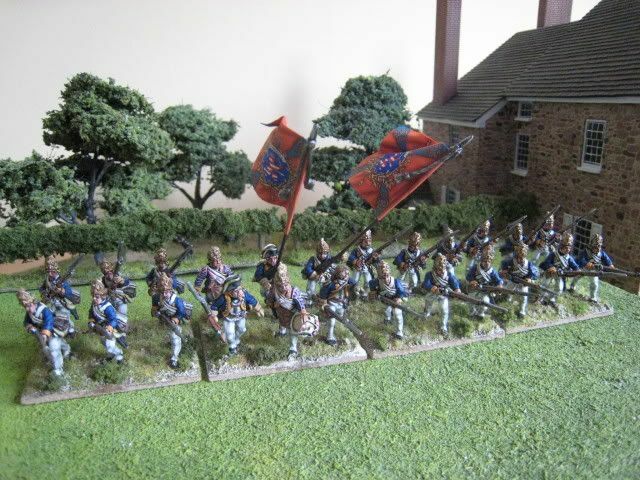 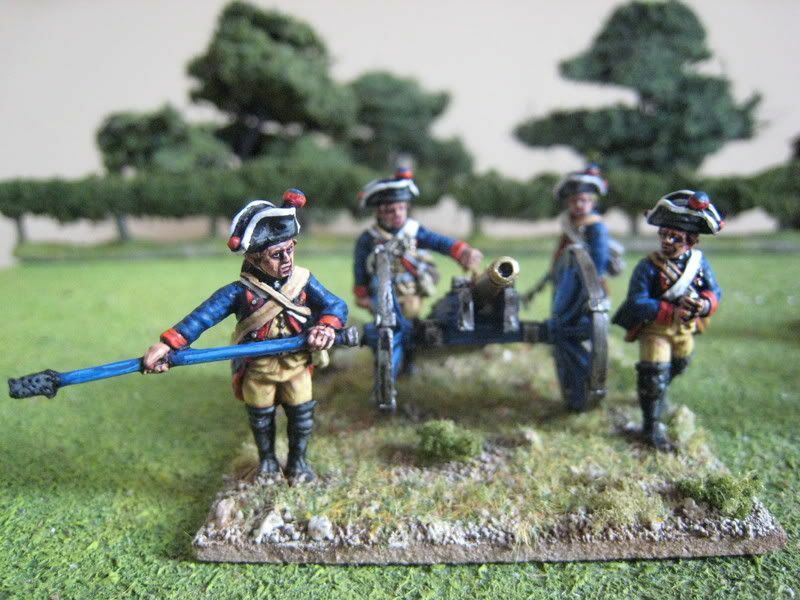 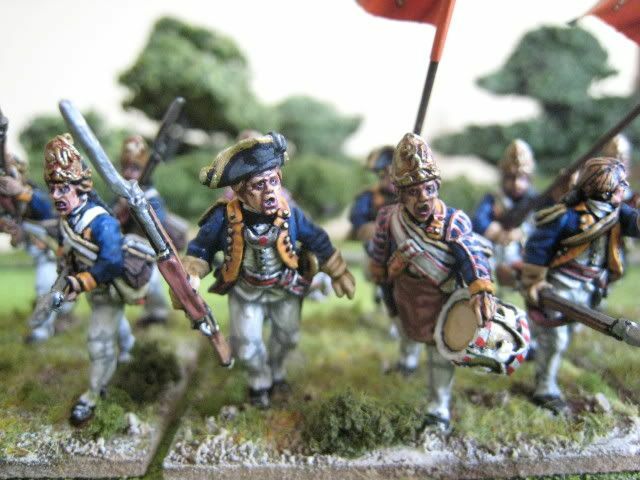 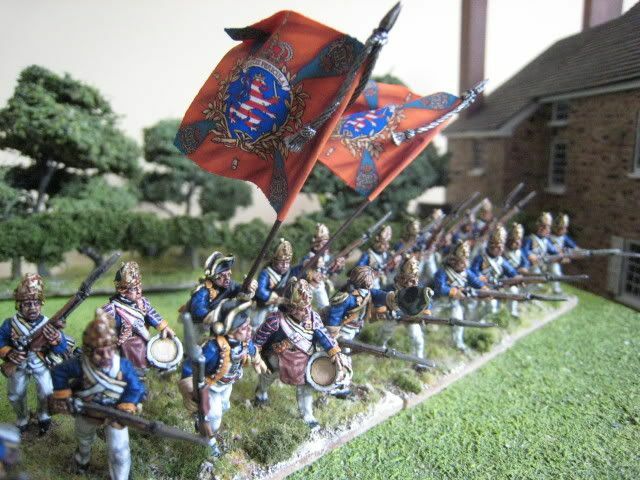 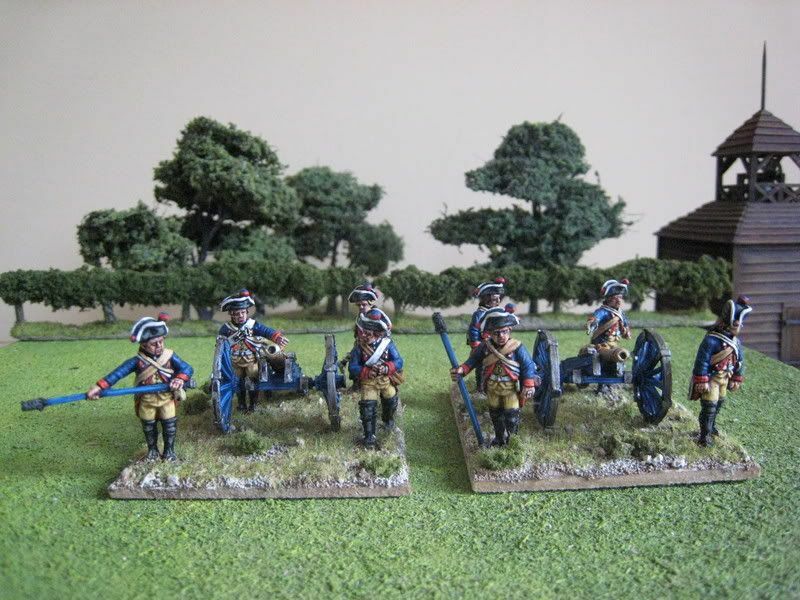 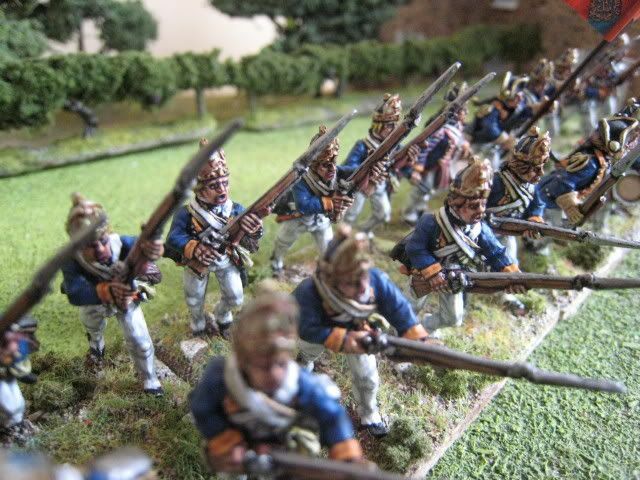 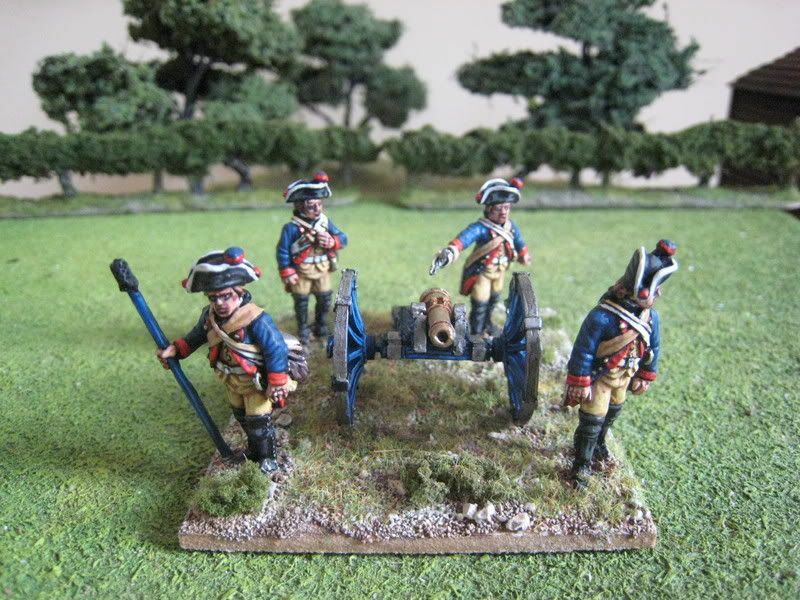 Problems with Blogger and an excess of work have resulted in a backlog of posts on the units I painted up for Long Island - the Von Lossberg fusiliers, Hessian artillery, British light infantry and grenadiers (x 2) and more artillery are all waiting to be posted. 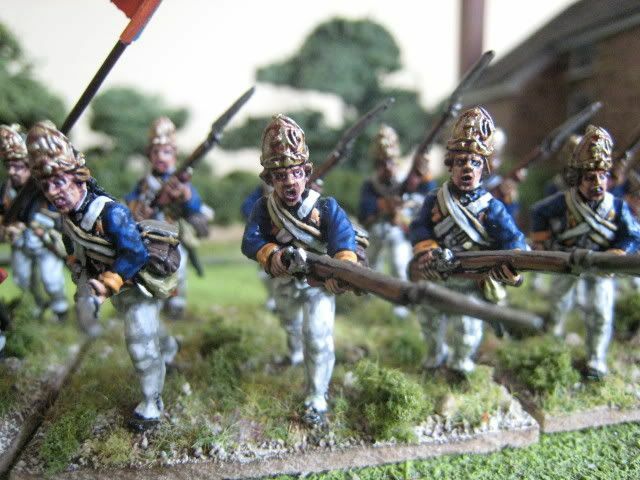 I have also begun work on a box of Perry plastic Napoleonic infantry (like everyone else, I imagine), as a short break from AWI. 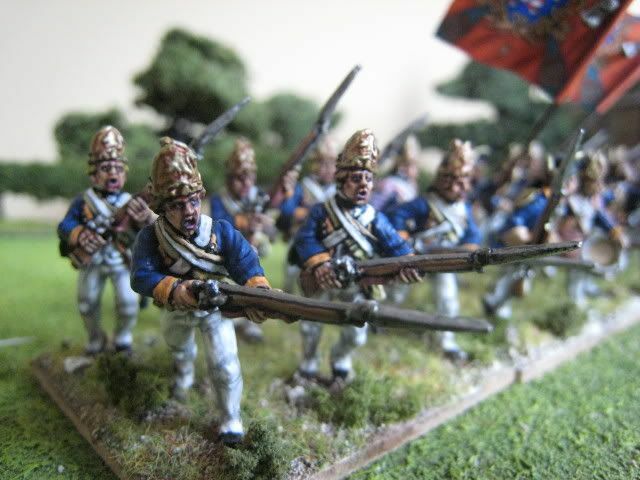 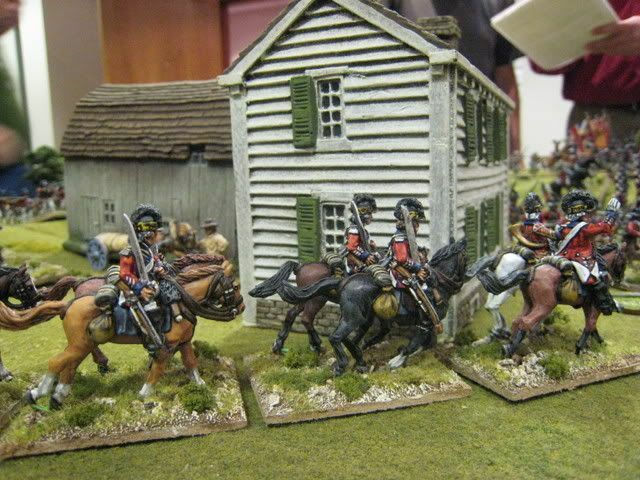 Then I want to finish off the Saratoga British, do a couple more Hessian regiments, some northern militia and the 17th Light Dragoons.